Many of you will know the lovely Ashley and that a while ago she celebrated her birthday with a Birthday Giveaway Bonanza! What most of you don't know though, because I'm a slacky slack slacker, is that I won a bonanza prize! 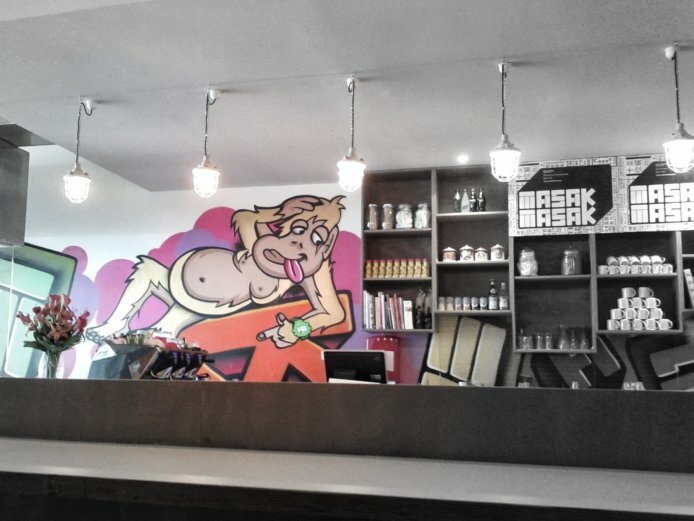 So one Sunday morning, The Sparky and I headed off to Collingwood to have our brunch at Masak Masak. I finally got to meet the orangutan in real life! Admittedly, most of what we ordered was too strong for us that early in the day BUT, it was so delicious that we vowed to return for dinner soon.